Figure out finances now so you don't fight over a pricey vet visit later. Yes, buying that wide-eyed Shiba Inu puppy with your partner may bring loads of joy to your family. But this dog — we’ll call him Balto — may also come with a taste for pricey kibble and, down the road, a surprise $500 surgery. First, determine how much you and your partner want to spend on a dog. For example, Emily Riley and her longtime boyfriend wanted a purebred golden retriever but couldn’t find one for less than $1,000. So the couple bought a mix, Sadie, from an online seller for $200. Adopting a dog from a shelter typically is less expensive than buying from a breeder, but it can still set you back over $100 in fees. Those fees can cover spaying or neutering, an initial veterinary exam, vaccines and other services. The size, demeanor and health of your dog will affect these costs. If you and your partner have your heart set on a Great Dane, for example, consider that big dogs cost more in some ways. The average annual surgical costs for large dogs was $793 — significantly more than for medium ($305) and small ($367) canines. New dog owners may also face lifestyle expenses that aren't as obvious as food and vet visits. 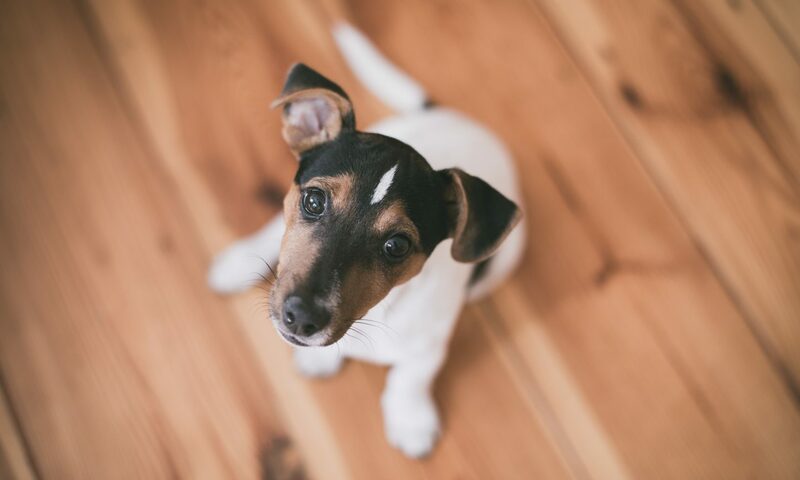 Lisa Darling, PetSmart’s resident veterinarian and pet care expert, points to other purchases “that can make dog ownership more manageable.” Think doggie day care, obedience training, pet insurance and kenneling while you travel. Alexie Basil and her fiance, for example, work full time and live in an apartment with their dogs, Bucky and Lucy. So the New Yorkers shell out $20 per weekday for a dog walker. Specify how you’ll handle these costs. Riley and her boyfriend decided to split dog expenses evenly, as they had done for living expenses. “My boyfriend and I make different amounts, but that’s what we decided we wanted to do to feel more comfortable in our situation,” she says. In New York, Basil and her fiance agreed to each divert $200 per month from their paychecks toward a dog fund. They took this route after Basil ponied up more of the upfront cost, she says, because getting a dog was her idea. Aside from expenses, confirm that the two of you are aligned on any lifestyle changes necessary to afford a dog. Before Riley and her boyfriend began looking for a canine companion, they agreed they’d rather spend their money on buying and raising a dog than regularly going out to eat and taking vacations. Basil says she and her fiance factor in their dogs’ needs whenever they do anything. Dinner and a movie can be more expensive, for example, because they’d need to pay someone to walk Bucky and Lucy while they’re gone. But the couple has no regrets. No matter what your goal is — saving for a house, wedding or big trip — NerdWallet can get you there faster. Sign up for free to see how.